Aromatherapy uses the power of smell to affect our mood, usually with the use of essential oils. At the end of almost every Shining Kids Yoga class, children are offered lavender aromatherapy spray during relaxation to help them feel more calm and peaceful. For the youngest ones, I often call it “flower spray” and invite them to imagine that they are taking a deep breath and smelling flowers. Kids love the relaxing scent, and for many, it is their favorite part of yoga class! 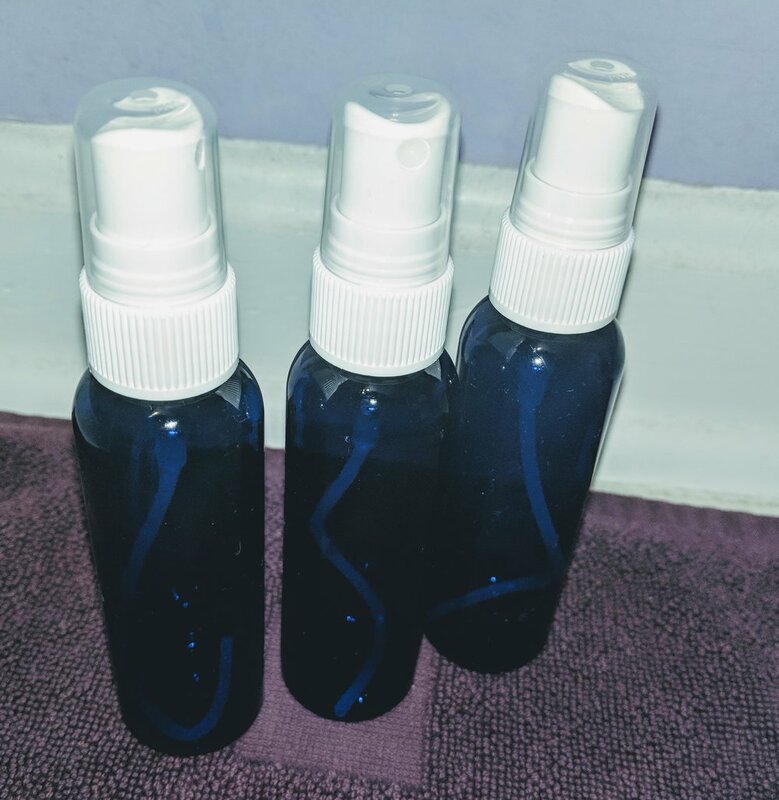 Aromatherapy spray is very easy to make at home either with your child as a fun and relaxing project, or on your own to use with your child at bedtime or any other time they want to feel more relaxed. And of course, you can use the spray as a calming treat for yourself, too! Directions: Simply open the spray bottle and add 5-10 drops of lavender essential oil, then fill the rest of the bottle with water. Shake well. Voila - instant relaxation in a bottle! The spray can be sprayed on pillows or sprayed directly over the child (make sure their eyes are closed! ), reminding them to take a deep inhale as you spray to receive the relaxing effects of the spray. When my son was younger, I called it "sleepy spray" as a reminder to him that the spray would help him relax and fall asleep at bedtime. Of course, if your child doesn't like lavender, choose another essential oil of their choice - other scents known for their relaxing qualities include ylang ylang, orange, and rose. One note of caution about essential oils: essential oils should NEVER be ingested. Please keep essential oil and aromatherapy bottles out of the reach of young children. I hope you and your children enjoy making your own aromatherapy spray! Wishing you peace, love, and yoga! Note: As an Amazon Associate I earn from qualifying purchases from the links in this article. Andrea is the founder of Shining Kids Yoga, which began as an after-school program at her son's elementary school in 2014. She has been teaching yoga to all ages since 2005. Andrea completed her 200-hour yoga teacher training & prenatal yoga training at Tranquil Space Yoga in Washington, D.C. In addition, she received specialized training in children’s yoga from the Radiant Child Yoga program, training in postnatal yoga from Baby OM, and training in therapeutic yoga from The Samarya Center. Andrea is also a Licensed Master Social Worker (LMSW) through the State of Maryland, having received her MSW degree from University of Maryland, Baltimore. She has taught yoga for children at yoga studios throughout the DC area, including Tranquil Space, Budding Yogis, Rock Creek Yoga and Warrior One Yoga. She also teaches classes for adults at Yoga Bliss Studios and Extend Yoga, where she is on the yoga teacher training faculty. When not teaching or practicing yoga, Andrea enjoys playing board games with her son, Quinn, singing karaoke, and trying out new vegetarian recipes! As a yoga teacher, I get pretty happy when I get to do yoga with my son, Quinn. We laugh, fall down, and help each other stretch and open our bodies. It's a chance for us to connect and be present and let go of the busyness that can often envelope our day-to-day lives. I know the days when he will want to do yoga with me (or do anything with me) are limited, and so I savor each double down dog and lizard on a rock pose we do together. I love being able to bring yoga to other families, too. To show them new ways to connect with each other through poses, games, and relaxation. This summer, I'll be offering 3 Family Yoga Workshops for children ages 5-11 and their parents. If you'd like to join me, you can sign up your family for one, two, or three classes (discounts available when you sign up for multiple classes!). I look forward to seeing you and your family on the mat.